Like the deferred medical student from Alford, Aberdeen, Emeli’s debut album, ‘Our Version Of Events’, is warm, wise, frank, funny, thoughtful and as inimitable as her vertical shock of blond hair and the Frida Kahlo tattoo that takes up most of her right arm. Released on 13th February, it reflects the fears, thoughts, heartbreak and hopes of a young women, the record effortlessly appeals to anyone with a love of imagery, imagination and, ultimately, great songs. Stuffed full of stirring strings, epic choruses and heart-stopping vocals; there are songs to sing in the shower, tracks to fall in love to and compositions to accompany you when heartbroken and drowning yourself in Chardonnay. 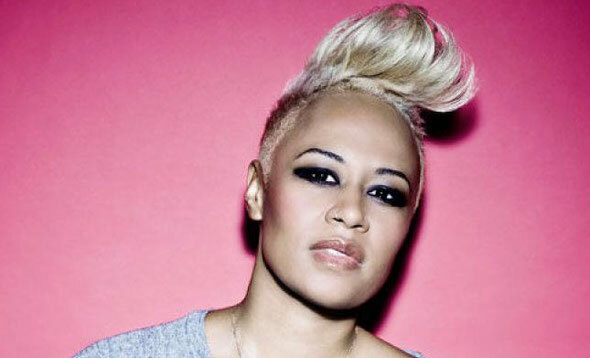 The album is written entirely by Emeli and produced by her creative partner Shahid ‘Naughty Boy’ Khan. “Heaven was the single that put Sandé on the map, hitting the charts at No.2, the expansive bass underscored and served as the perfect introduction to her voice. “It’s about growing up and realising you can’t always be perfect; but what counts is knowing you could have done better, your intention to improve is what counts,” says Sandé. The track won her legions of fans, including Jools Holland and Coldplay’s Chris Martin. Emeli’s third single, ‘Next To Me’, could, at first glance, be about a boy, or even be perhaps spiritual in its sentiment. 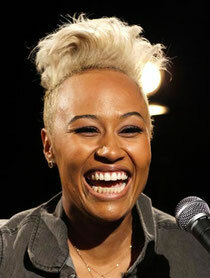 In fact, says Emeli, it was written about her No.1 love; music. “You won’t find him drinking under tables/ Rolling dice and staying out till 3/ You won’t ever find him being unfaithful/ You will find him next to me”. ‘Next to Me’ is released on 13th February 2012.